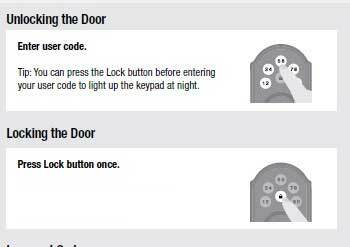 All our properties are equipped with an electronic combo lock (no key needed). The combination is changed on a regular schedule, so this is much more secure than any keyed lock where the key is never changed. Some condo properties need additional registration at the office and some may have an additional registration fee which is not included in your rent amount. 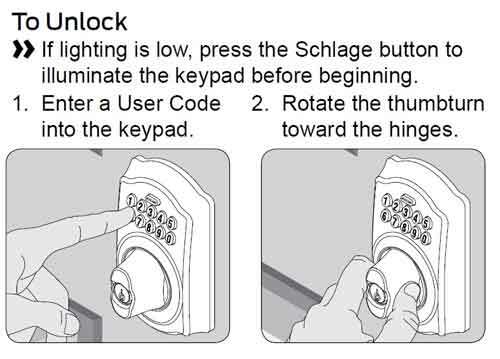 To lock: Just press the “Schlage” button and rotate the thumbturn (no code needed). If you have received a 10 digit code, please click here to replace that with a 4 digit code of your choice. (If you have received a 4 digit code already, this does not apply to you). Replace a 10 digit code with a 4 digit code of your choice. If the locking mechanism shows an error: It helps pulling the door towards you when locking the door. 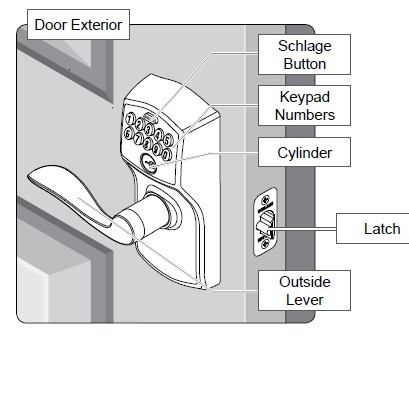 The electric motor is sometimes not strong enough to push the deadbolt fully out when the door is not 100% aligned due to humidity.